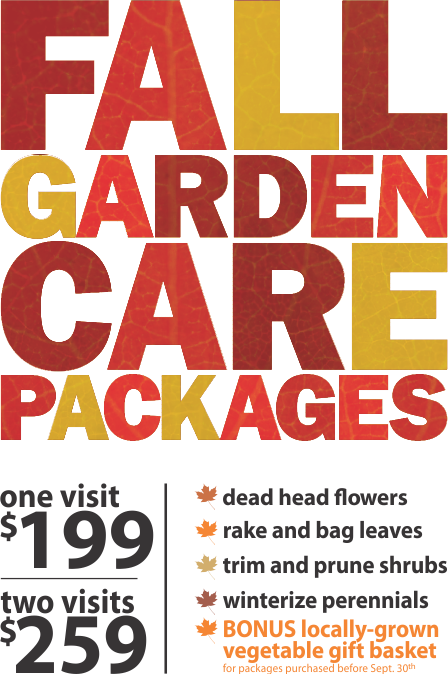 We can take care of all your garden needs this fall with our convenient packages. Please contact us for more details. If you'd like to purchase a package, please call us or email us and we'll get back to you to arrange a time for a visit. 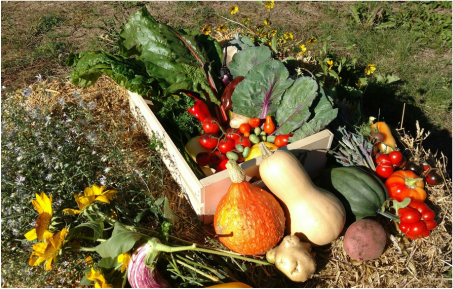 Early bird purchases will receive a harvest gift basket with locally grown organic produce from Holly's Harvest CSA. We had lots of fun picking veggies and taking photos so you could see what the basket looks like. Please don't judge our gardening skills based on our video-making capacity! Huge thanks to Telsing, from Aster Lane Edibles, who hosted out photo shoot session, dug up some last minute veggies for our basket and added a great touch with gorgeous flowers. Please note that the exact content of the baskets will depend on weekly availability of produce.